Otago Regional Council (ORC) flood managers continue to closely monitor river and lake levels following updated weather warnings of heavy rain on and east of the main divide from MetService today. River and lake levels in the Wakatipu, Wanaka and Hawea catchments were on the rise following heavy rain in the past 24 hours. The flooding has closed the Wanaka-Mt Aspiring road, and the Kinloch road near Glenorchy. MetService predicts a further 100 - 200mm of rain in the area on top of what has already fallen. ORC manager natural hazards Jean-Luc Payan said that while the rainfall had been on the lower side of the predicted range, the lakes were still at an elevated height and would remain so for some time. "We're not letting our guard down while there's still the possibility of more rain, and ORC are continuing to closely monitor river and lake levels." As of 2pm on Tuesday, the Matukituki River was sweeping into Lake Wanaka with force, carrying a large amount sediment and branches from upstream. The river was flowing at more than 1000 cumecs and that number continued to rise rapidly as rain continued to fall heavily up the Matukituki Valley. The flood level alert threshold is 1540 cumecs. Lake Wanaka was sitting at 277.6m, around 2.5m below the flood level. In Queenstown, Lake Wakatipu was close to 310m high, just over a metre below the flood level. 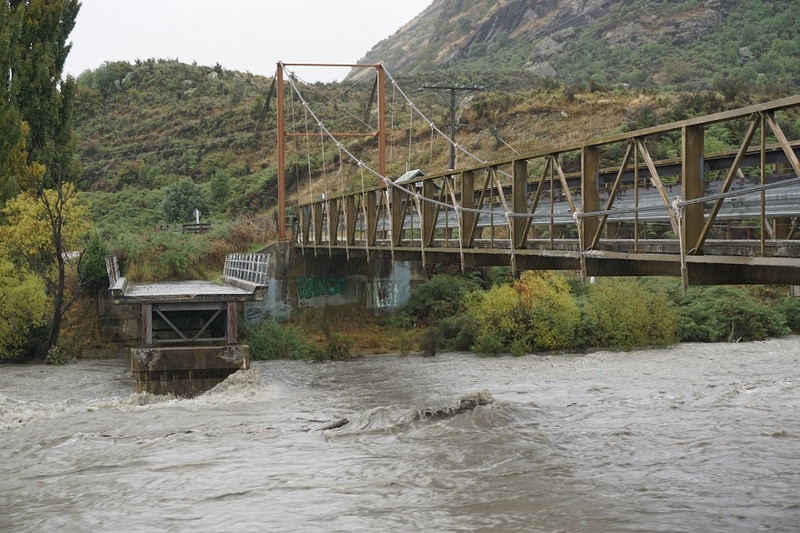 The intense band of rain predicted to move across Central Otago and the Lower Clutha region until midday today was now expected to be less significant, as rain has been confined to the headwaters.